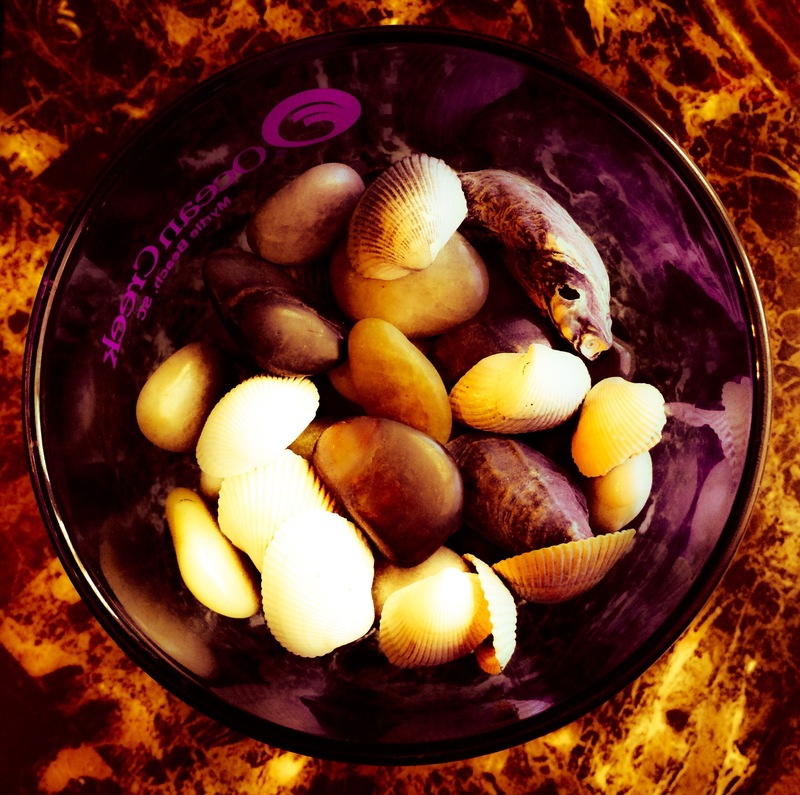 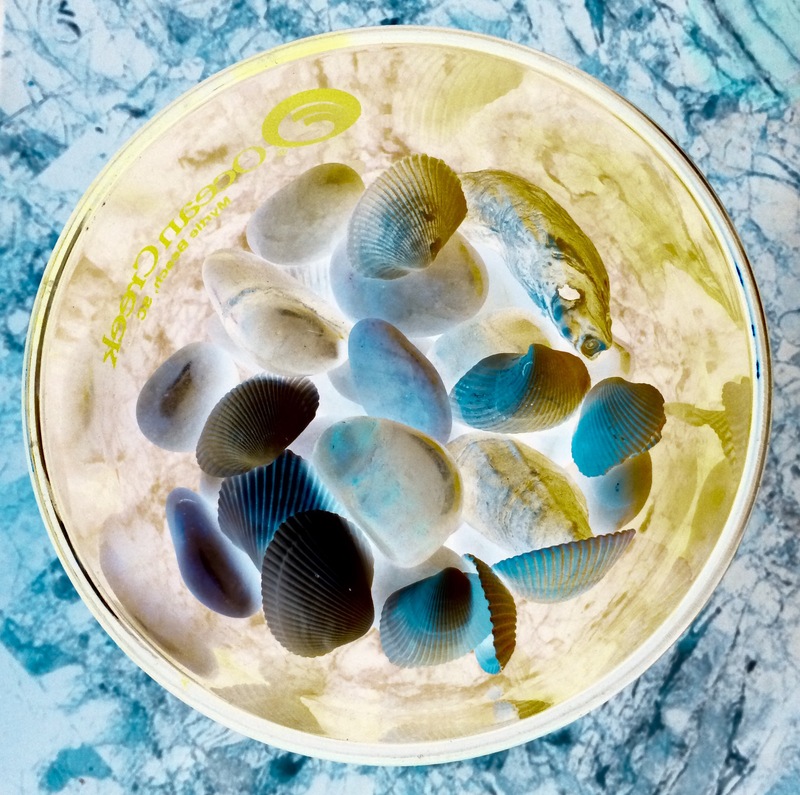 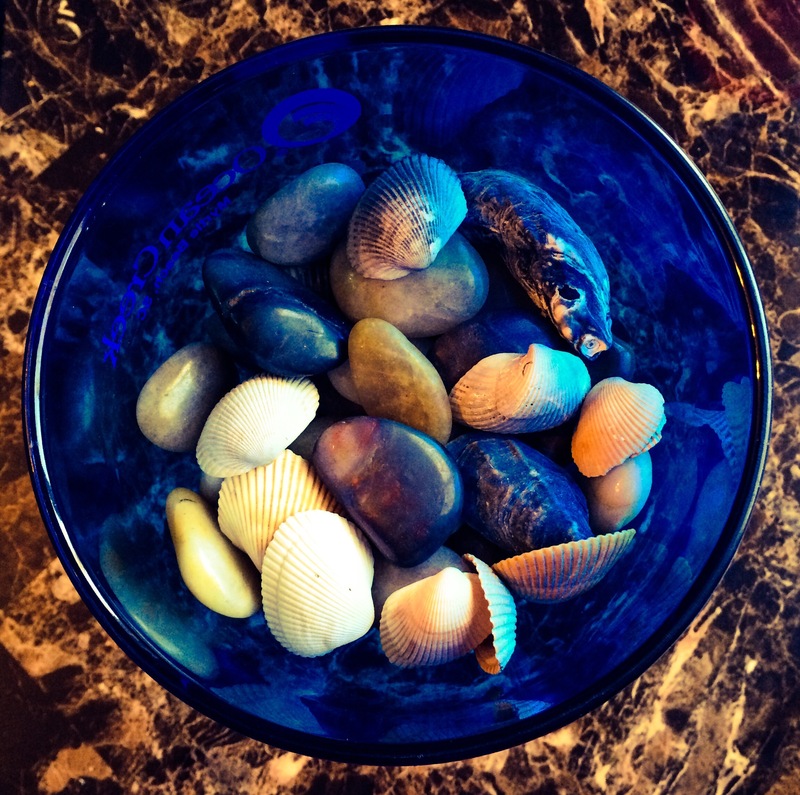 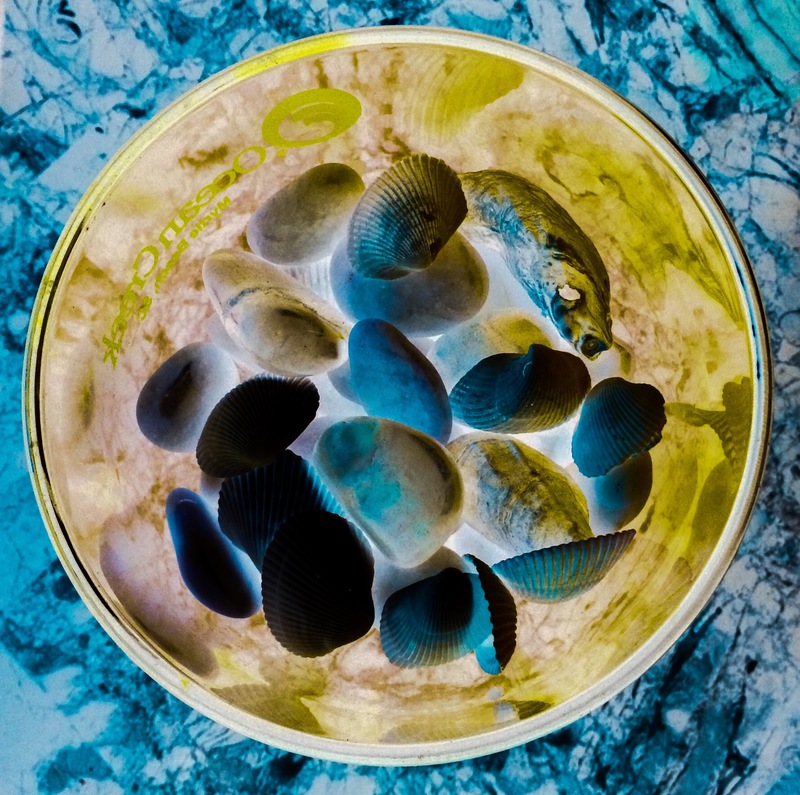 I put some shells and river rocks into this giant blue drink glass I got from Myrtle Beach and took some photos. Then I cropped one and edited it using some filters in Photoshop Express on my iPhone. The results of each filter are listed below. For added effect, I ran the inverted image through some additional filters, as noted below.